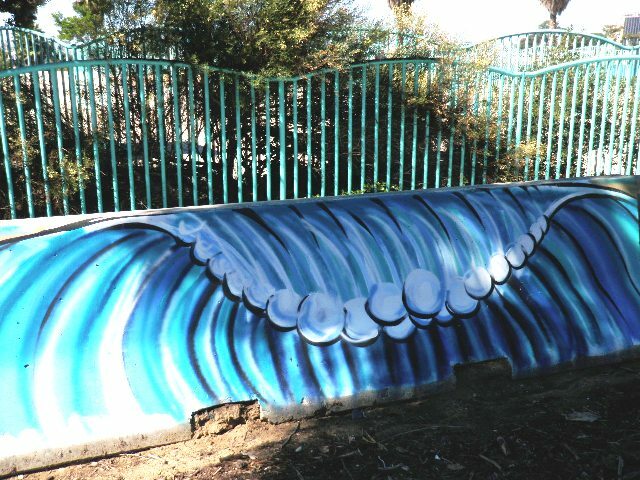 Has anyone noticed the entrance to OB by the skate park has been beautified with painted waves? 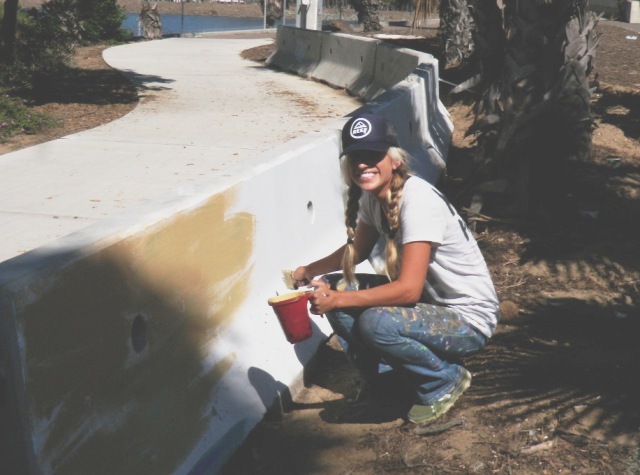 Katy Helen was contacted by the OB Community Development Corporation to paint the K-Rails. The OBCDC is paying for the materials and Katy has volunteered her time to do the project. She has been working a few hours each day since October 9th and her artwork is near completion. 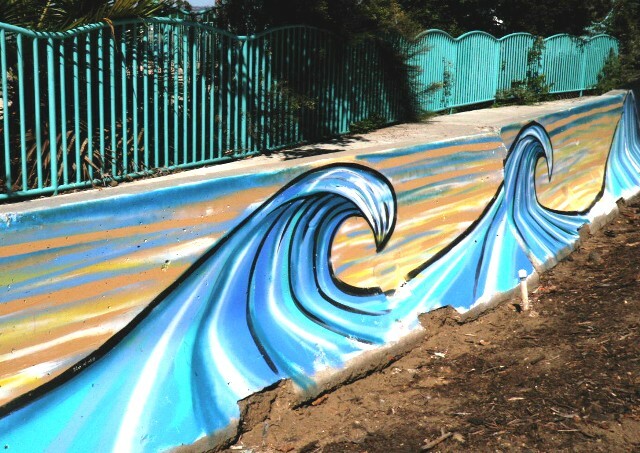 Katy used to live in OB and if very fond our this community and therefore was happy to contribute her time and talent. 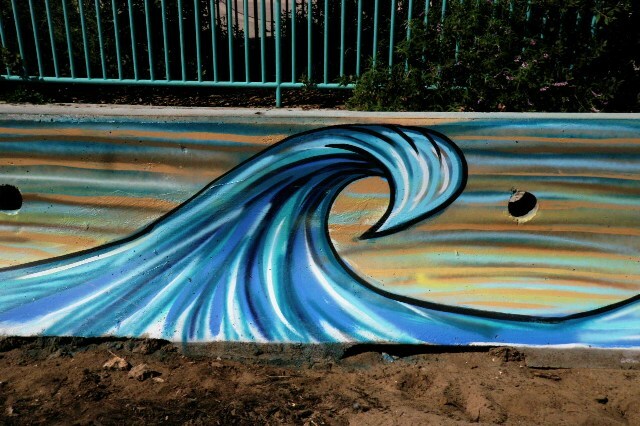 Katy also does surf board art and pet portraits in addition to wall murals. If you have a project or wish to purchase her artwork please visit www.katyhelen.com. Thanks Katy for your beautiful work! YES! Super cool, and I have noticed. 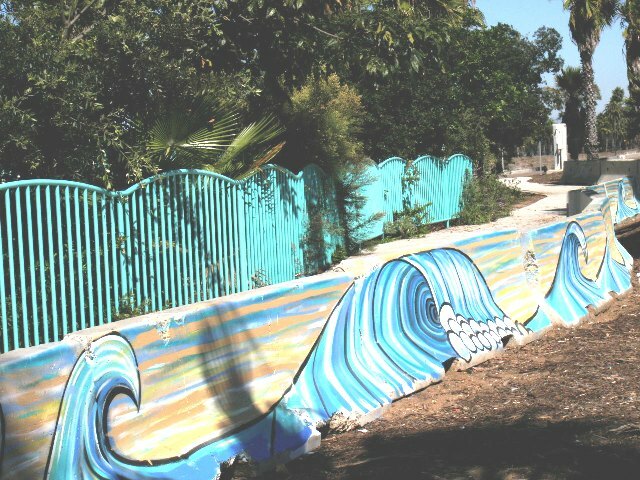 The more creative public art projects we have and the less tagging and litter will help improve our image and overall mood as a community. Great work Katy! Thank you for your service to ocean beach. Very nice addition to the OB entryway. I met her today and she has real passion.